Despite being named Switz City, this is actually a small town. It is located in the southwestern Indiana in Greene County. This small town is located near Linton, Worthington, and Bloomfield. Interstate 69 makes it easy to live in Switz City while commuting elsewhere in the region. The town is close to a number of parks and recreational areas, making it perfect for weekend warriors and families with kids. Homes for sale in Switz City offer the perfect balance of small town living with access to nearby amenities and cities. Whether you've just started looking and are curious about homes for sale in Switz City or have your mind made up, our real estate agents can help you find the home for you. Don't hesitate to get in touch with our Switz City realtors with any questions you have or to get started in the process of looking for real estate in Greene County. Our real estate agents know the market well and can help guide you through the process of finding the right Indiana small town home. Switz City built its first post office in 1869. As a town with a long and rich history, homes are available in a variety of styles, sizes, and periods. Regardless of your taste, homes for sale in Switz City should be able to meet your needs. 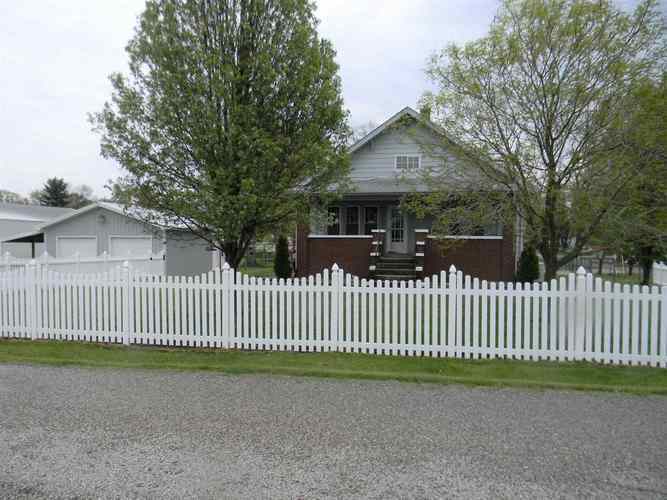 Even the most modest homes in Switz City offer excellent value and give you the opportunity to enjoy small town Indiana living. The town is small and cozy with a variety of amenities near all homes. Ask our Switz City realtors about Greene County real estate today. State Road 54 runs east-west through Switz City forming the High Street area. State Road 67 runs north-south on the edge of town. Linton, Worthington, Bloomfield, Island City, and Lyons are the closest communities. Interstate 69 runs to the south and east of Switz City. Interstate 70 is farther to the north and connects to Terre Haute and Indianapolis. Bloomington is also within driving distance for more extensive shopping needs. Despite it’s small town status, Switz City has several shopping and dining options to offer residents. Food options include pizza, Italian food, Mexican, pub grub, and restaurant fare. Shopping includes basic groceries and a post office. Most amenities are located in the Main Street area where State Road 54 passes through town. Many homes for sale in Switz City are within walking distance of shops and services. For anything you can't get in town, there are many nearby communities a short drive away. Cities like Jasonville and Linton offer a wider array of shopping and dining choices and are a short drive away. Indianapolis, Terre Haute, and Bloomington are farther away but will offer a range of big city options. As is typical for small towns, much of cultural life and entertainment happens in shared communal spaces. Switz City is home to several parks and public spaces. There are several rivers, lakes, streams, ponds, and creeks near town. The surrounding area is rich in natural beauty and provides many recreational opportunities for adults as well as kids. The biggest problem is finding time to visit all the natural beauty near Switz City. Lattas Creek runs to the northeast, and the White River flows near Bloomfield. A short drive to the south are Black Creek, Goose Pond Fish and Wildlife Area, Redbird Riding Area, Greene-Sullivan State Forest, Sullivan County Park, and Shakamak State Park. To the southeast are Greenwood Lake, West Boggs Park, Martin State Forest, Glendale State Fish and Wildlife Area, and Hoosier National Forest. Homes for sale in Switz City give you the opportunity to live in a beautiful place with many natural recreational activities nearby. Ask our Switz City realtors today about finding a scenic home in Greene County. Greene County is served by a newspaper that keeps locals up-to-date on news and upcoming events. There is a school on the edge of town that provides programming and community spaces. For any services that are not available in Switz City, locals can travel to other towns and cities throughout Greene County. Good transportation routes and location make it easy to travel throughout the area. Switz City has numerous career and business opportunities to offer residents both in town and through commuting within the region. Homes for sale in Switz City provide many employment opportunities. Ask our Switz City realtors about employment opportunities in the Greene County area. The main industries in Switz City are retail, manufacturing, agriculture, forestry, fishing, hunting, health care, social services, construction, arts, entertainment, recreation, and public administration. The most common jobs are production, extraction, truck drivers, financial managers, distribution, construction, and law enforcement. It is easy to commute to jobs within Greene County since there are many nearby cities within a 10- or 20-minute drive. 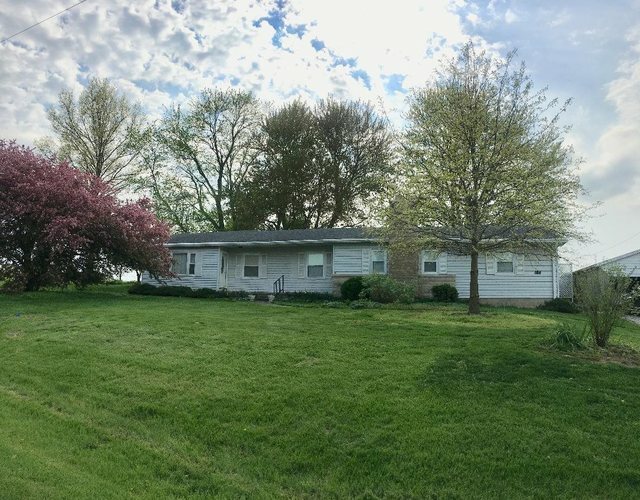 Homes for sale in Switz City are perfect for those looking to work elsewhere and return to a quiet and peaceful small town at the end of the day. The White River Valley School District is responsible for the education of the students living in Switz City. The town is served by two elementary schools, and students here either attend Lyons Elementary in Lyons or Worthington Elementary in Worthington. White River Valley Jr/Sr High School is located in Switz City and instructs students from Grades 7–12. The athletics department offers baseball, basketball, cross country, golf, soccer, softball, tennis, track and field, and volleyball. There is also a student council as well as other clubs and arts programs for students to join. The White River Valley School District strives to provide a community-based education for students while meeting high academic standards.